I have a very special memory. One that I have not thought about for years but it came to me today in the middle of Saving Private Ryan. I don’t think I’ve shared it before. A long time ago, I had a girlfriend and I used to sing to her. 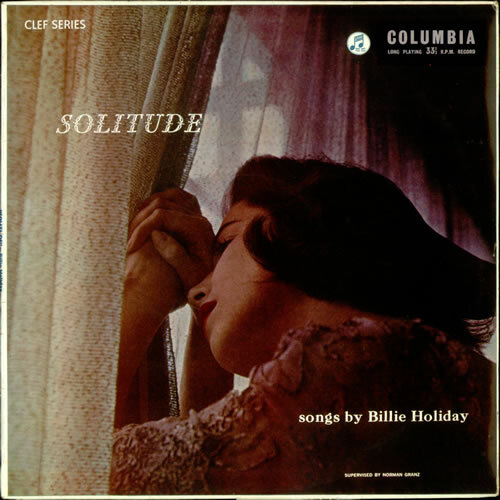 At that period of my life, I was entirely entranced by Billie Holiday and my most favourite song was Solitude and my girlfriend used to ask me to sing it to her. I sang it over and over. Eventually we broke up and she moved out and went her own way but a few months later she called me out of the blue and said she was afraid and asked if she could come stay with me for a few days. She was having headaches and problems with her memory. We took her to the doctor who sent her to the hospital where they told us she had a brain tumour. It was inoperable but they might be able to treat it with radio-therapy. With memories that never die. The treatment didn’t work out and her memory and her headaches got worse and eventually she slipped into unconsciousness. Her parents flew over from Malta and came to stay with me in my little apartment and, one by one, her friends and relatives from all over the world came to join us sitting by Rita’s bedside. There’s no one can be so sad. We sat by her bed for days and weeks and months and, every now and again, she would drift back into our life and say a few words before drifting back into the twilight. One day she slept and didn’t wake up again. I used to sing to her while she slept her deep sleep – especially when we were alone, just Rita and I. One day, one last time, she spoke to me. Then she went back to sleep. She didn’t wake up any more. I know that I’ll soon go mad. I promised that I’d never forget you, Rita. I kept my promise. Tears in my eyes in LAX. mmm What can I say….. I know a little bit more….. things that we did not have time to share…. You’re a good one, Kevin. Beautiful. I’m glad I’ve stumbled upon it. Very sweet. Very nicely said. Very beautifully said Kevin. She is forever in all of our hearts. ?? I get tears in my eyes every time I read it. It’s a happy memory. Beautiful words Kevin. You left me speechless and misty eyes. That was four years before I met Dorienne. Still I can feel emptiness and that missing link to know her. Read this earlier and thought I will read later and it would bring less tears to my eyes but I was wrong second time round and the tears flowed faster. Such a lovely memory of our beautiful Rita. Thank you for sharing it. I have never forgotten her either. And I miss her. I feel so lucky to have such a special memory Rosa. I’m glad you found it special too.